As reported in detail in this week’s Features section, after 37 years of davening, hoping, and waiting, the body of Zecharia Baumel, Hy”d, who was killed in 1982 in Lebanon, was located, positively identified and brought to kever Yisrael on Thursday in Yerushalayim. Zecharia Baumel — or Zach, as his parents and friends called him — was born and raised in Boro Park, Brooklyn, along with his older brother and sister. He was 10 years old when his parents decided to move to Eretz Yisrael. He went on to learn in Yeshivat Har Etzion in Gush Etzion and was serving in the hesder military track when he fell in battle. 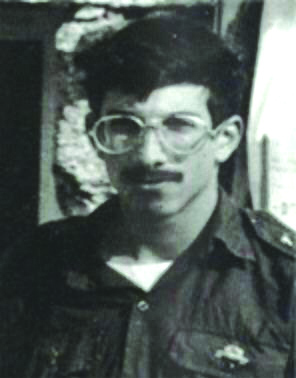 From the time of his son’s disappearance until his own petirah 10 years ago, his father, Yona Baumel, z”l, devoted all his energies into trying to locate his son. “I have been sent a test from Above, and with it, a mission. I withstood the test. Now I always want to provide results as part of my mission,” Reb Yona told his family before his passing. Last week it was revealed what had happened when the small group of members of the Israeli Military Rabbinate, who had flown to Russia for this purpose, got to examine the remains the Russians had exhumed in a cemetery in the Al Yarmouk refugee camp in southern Damascus. They knew that the Russians had found a number of bodies, and now it was up to them to try and determine if any of them belonged to missing IDF soldiers. Their work was relatively quick. When they opened the first set of remains, they were stunned. The body was dressed in the overalls of an Israeli tank operator, and the overalls bore Hebrew letters. But what drew their attention and immediately revealed the secret were the soldier’s tzitzis, which, despite the passage of decades, were still intact. How fitting it is that in the merit of tzitzis, he was able to be positively identified. A parable in the Midrash describes a man struggling to survive in the ocean. The first Slonimer Rebbe homiletically explains that while the techeiles thread on the tzitzis symbolizes the highest levels of yiras Shamayim, the white threads represent emunah peshutah, believing in Hashem without reasoning or calculations. This is the “rope” the Midrash refers to. As long as we grab and hold onto our emunah peshutah, we are holding on to our spiritual life. Emunah peshutah is the foundation of our relationship with Hashem. It is among the white threads that techeilis is placed, for through emunah peshutah one can achieve the highest levels of yiras Shamayim. The fact that at long last, Zecharia Baumel, Hy”d, was brought to kever Yisrael is a source of consolation for his still grieving family. Since Chazal teach us that the niftarim are cognizant of the suffering of their descendants, one can presume that from his place in Gan Eden, Reb Yonah Baumel, a man who lived a life of emunah and who devoted himself with such mesirus nefesh to discover the fate of his beloved son, is aware as well. The moving story of the still-intact tzitzis of Zecharia Baumel symbolizes the eternal impact of this most lofty mitzvah. Harav Yaakov Yisrael Twerski, the Hornosteipler Rebbe of Milwaukee, zt”l, would tell of the time, during the rule of the Czar, that a Jew in Kiev managed to get himself appointed as the head of a bank. It was unthinkable for a Jew to achieve any prestigious public position, and it was only because he had become so assimilated that his Jewish ancestry had been all but forgotten that he secured such a position. While visiting the seashore, this banker witnessed a terrible tragedy when a body was washed ashore. While it proved impossible to identify the deceased, because the niftar was wearing tzitzis, he was given a halachic burial. The assimilated banker came to the realization that although he had renounced his Jewish identity in order to further his career, this was only applicable in his lifetime. He had put financial success before living the life of a Jew, but he did want to be buried as a Jew, so he began to wear a tallis kattan under his clothes. Wearing tzitzis had a profound effect on the banker, and he gradually undertook to keep more and more mitzvos. He eventually was forced to give up his position at the bank, and he went on to become a prominent member of the Jewish community. As we continue to daven for all the remaining Jewish MIAs, may the family of Zecharia Baumel be comforted among the mourners of Tzion and Yerushalayim, and may all Jews gain inspiration from the story of his tzitzis.